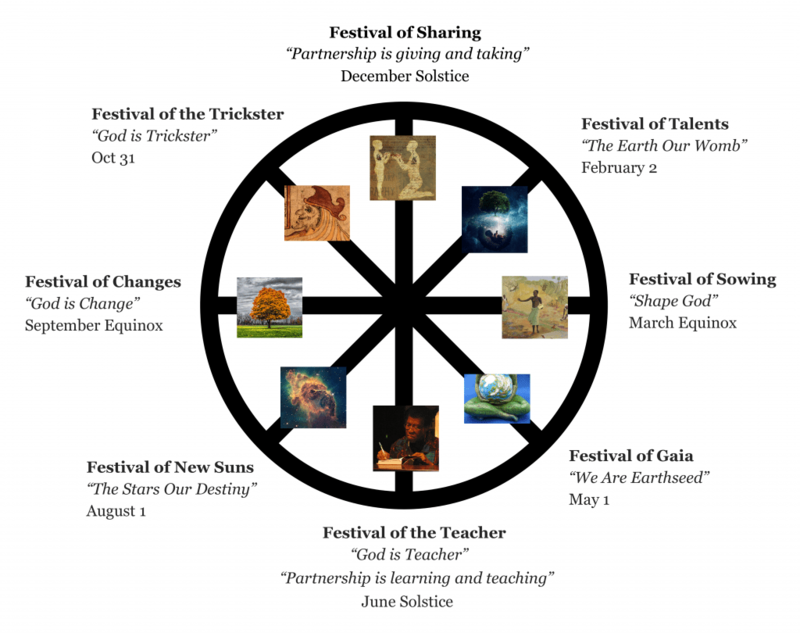 Earthseed’s liturgical calendar follows the Pagan Wheel of the Year, but the celebrations have unique associations. The summer solstice coincides with the birthday of Octavia Butler, June 22. So this Saturday we will be celebrating Butler’s life and work, as well as the beginning of summer. This will be our first community ritual, and I am very excited about it. The center of the ritual will be a “meditative teaching” and the construction of an altar or “focus” to honor teachers who have inspired us. Because we are geographically separated, our ritual will take place on Google Hangouts on Saturday, June 18, at 6pm ET/5pm CT. If you would like to join us, click here to email us.